One of the many intriguing movies screened at the Sundance Film Festival last February was a film called Catfish. The unassuming title didn’t really do much to catch my attention initially, and since the film screened under Documentary Spotlight, I'm guessing a lot of other people overlooked it as well. However, it managed to generate buzz anyway. Rogue Pictures, recently picked it up, which is strange, because they are generally known for horror films. But regardless of its genre Catfish definitely has my attention. At first I thought it was just a cute documentary about finding love and romance on line, so it definitely surprised me when it takes a turn straight into “thriller” mode. I think this is a well crafted trailer too. It just grazes the tip of the iceberg, if you will, showing us just enough to reel us in for the hook. Take a look! 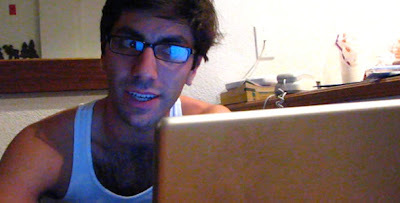 The vague synopsis explains that filmmakers Ariel Schulman and Henry Joost began to document an online relationship that was developing between Ariel’s brother Nev and a girl that he met on the Internet. They eventually decided to take a road trip from New York to rural Michigan to meet her, at which point they discovered something that was both “shocking” and “unsettling”. Rogue Pictures is bringing Catfish to select theaters on September 17th. now I want to know what the catfish girl was doing! Yes, I am intrigued. What is the movie even about? It’s cool they made a movie about… something, but I have no idea what that something is. that looks terrible. When are we going to see it? holy crud! that looks awesome!